BerryBusters: Mr. Heins you have a hole in your ship! Home Editorial Berry Busters BerryBusters: Mr. Heins you have a hole in your ship! 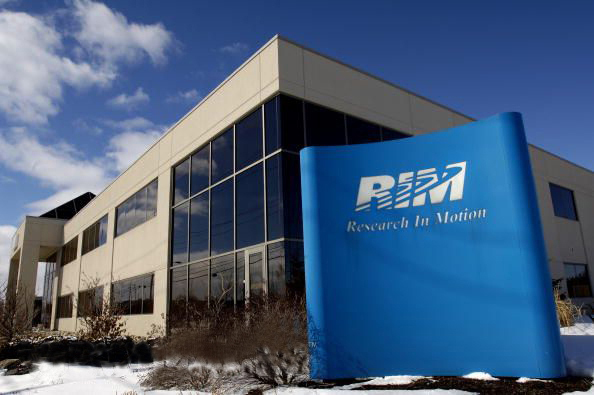 If you are a long time tech enthusiast like me, you too are probably aware of the heights and success Research in Motion, popularly known as RIM, has seen since it’s inception in 1984. RIM has not been a one hit wonder. It was a revolutionary innovator at one time – whether we talk about QWERTY keyboards, secure mail via data-servers, instant messaging, or of course enterprise solutions like no other, which a small start up to a huge defense institution like Pentagon both have used at sometime or the other. But, of late RIM’s condition has not been all that great – they are reporting operational losses, their phones aren’t selling well – their tablet was a bummer. They have started laying off employees and the pressure on them is very evident, so much so it has reached the stage of perform or perish! 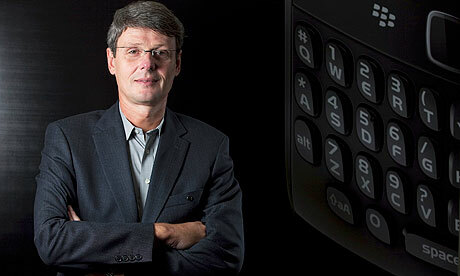 Thorsten Heins, RIM’s CEO and someone who I and my editors respect greatly, has a task at hand; a task which if he pulls of it won’t be short of a miracle – that task it to save the sinking ship – the sinking ship is his company – Research in Motion. Thorsten, since his takeover as CEO back in January, has been one aggressive CEO, in a good way. RIM has come out with around 6 new BlackBerry phones since then, which work and look great, RIM also realized that PlayBook would not make any substantial gains in it’s current shape – then came the fire sale and OS update, which did help RIM sell millions of PlayBooks even it that only was a move to clear inventory and avoid any losses. RIM also held a mega-event to which even we were invited in Orlando, Florida unveiling the BlackBerry 10 OS – which certainly looked promising and perhaps is the only thing that can save RIM. In June 2011, the company announced its prediction that Q1 2011 revenue will drop for the first time in nine years – this is where the fall of the Canadian giant began! The market followed, with RIM stock falling to its lowest point since 2006 – which has been on a free fall ever since. From June 2008 to June 2011, RIM’s shareholders lost almost $70 billion, or 82 percent, as the company’s market capitalization dropped from $83 billion to $13.6 billion – a drop so significant that it has never been seen before in the telecom market! In July 2011, the company cut 2,000 jobs, the biggest lay-off in its history. The lay-off reduced the workforce by around 11%, from 19,000 employees to 17,000. In the fourth quarter of fiscal year 2011 – 2012 RIM shipped 11.1 million BlackBerry smartphones, fell 21 percent from the previous quarter and it was the first decline in the quarter covering Christmas since 2006. For its fourth quarter, RIM announced a net loss of $125 million. RIM recently announced that it will be further cutting down 2,000 jobs worldwide – and this number could go up to 6,000 – RIM’s current workforce is around 16,000 people – these job cuts come as a very bold move, but Heins being the CEO he is, knows what he is doing. The main reasons behind RIM’s sharp decline can be attributed to lack of innovation and a stale bunch of devices thanks to their lazy R&D department – they did not keep up with Apple’s iOS or Google’s Android – they paid a price, so much so that the company is on the verge of a possible sellout! We recently heard rumors that RIM might be split into two divisions namely – hardware and enterprise and then the hardware division, which is the loss making one can be sold off! I concur with this idea – if I were Heins what I would do is wait for BlackBerry 10 products to go on sale, depending on the feedback take the next step, split RIM into RIM and BlackBerry – RIM handling enterprise and BlackBerry being the hardware manufacturer – there are many buyers out there looking to pick up a hardware company for cheap – Microsoft, Amazon and Facebook to name a few. Depending on the success of BlackBerry 10 RIM should continue to hold licensing rights of the same and should license it out to every manufacturer. Along with that they should also work on IM and email solutions for all platforms based on transactional and one time license fee by the operator and vendor respectively. These ideas have been rumored since long, RIM infact has even hired equity consultants such as JP Morgan to help RIM restructure or find a good way to dispose themselves off! If RIM manages to pull this one off, it will be one comeback which will go down in the history books as well as business management lessons at business schools around the world. I do believe that RIM does have what it takes to deliver one last punch, if it’s a hit – good, if it’s a miss – it will be a sad end to an unmatched legacy of Research in Motion and BlackBerry. All I can say is that the next few months are very crucial and critical for RIM with the launch of BB10 devices sometime in September – that will make the future for the company crystal clear. As a RIM fan and a long term BlackBerry user myself, I do hope that they manage to pull through.